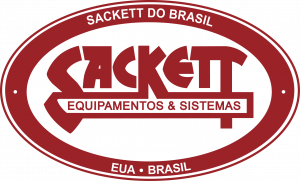 Formed in 2007, Sackett do Brasil offers high-quality systems for the Brazilian market. Our Companies specialize in complete system design for Bulk Blending, Bulk Terminals, Granulation (NPK, SSP, AMS), Compaction/Granulation, Super Phosphate and Coating (powder, controlled release). To meet today’s nutrient needs, and assist greater nutrient use efficiency, we engineer systems designed to maximize accuracy. We believe that good nutrient stewardship is supported by every part of the supply chain, and provide high quality, reliable, equipment to our customers throughout the Americas and the world. For more information, www.sackettbrasil.com. Sackett-Waconia is proud to be partnered with Bagtech International on the African Continent. The combined Companies bring extensive experience in marketing, designing and supplying fertilizer systems including Blending, Bagging, Handling and Granulation. With a long standing reputation for quality and service and more than 1,000 blending plants in operation, Sackett-Waconia brings more than 180 years of Fertilizer Industry experience and an extensive proven product line operating in over 60 countries. Bagtech brings broad knowledge, equipment design and supply, plant operating experience and an excellent reputation for Blending and Bagging specific to Africa. Together, our goal is to be the premier Company offering experience, equipment, and support to the African Fertilizer Industry. Sackett-Waconia is a proud member of the following groups. Click on a logo to learn more.